We were leaving and needed a Food-Based Calcium by Rainbow Light before we left. I hesitated even though the expected delivery time was ok. with a day to spare. They arrived as promised! I bought Food-Based Calcium by Rainbow Light because the tips of my nails started to break. This product proved to be good and effective; it made my nails strong again. Cost is reasonable as well. 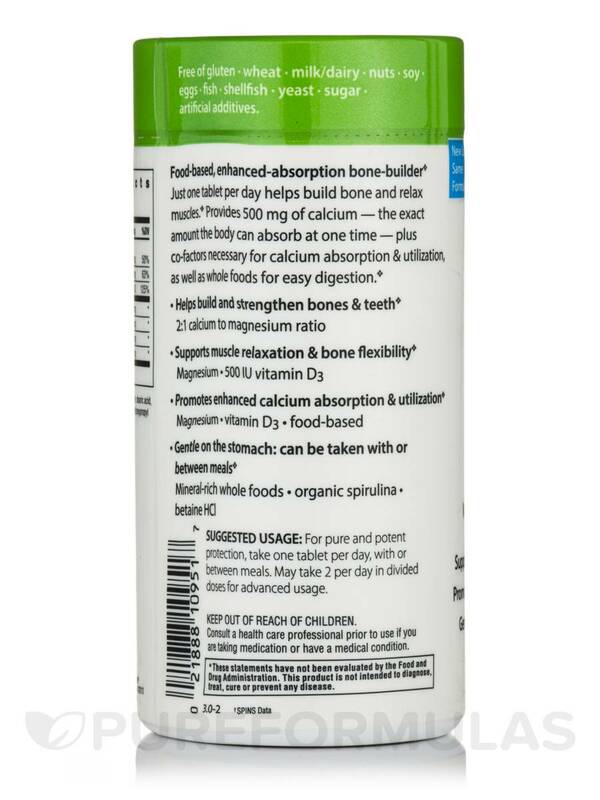 Food-Based Calcium™ contains a 2:1 ratio of calcium to magnesium to support strong teeth and bones‚ plus vitamin D3‚ food and herbs to promote enhanced calcium absorption and gentle digestion. 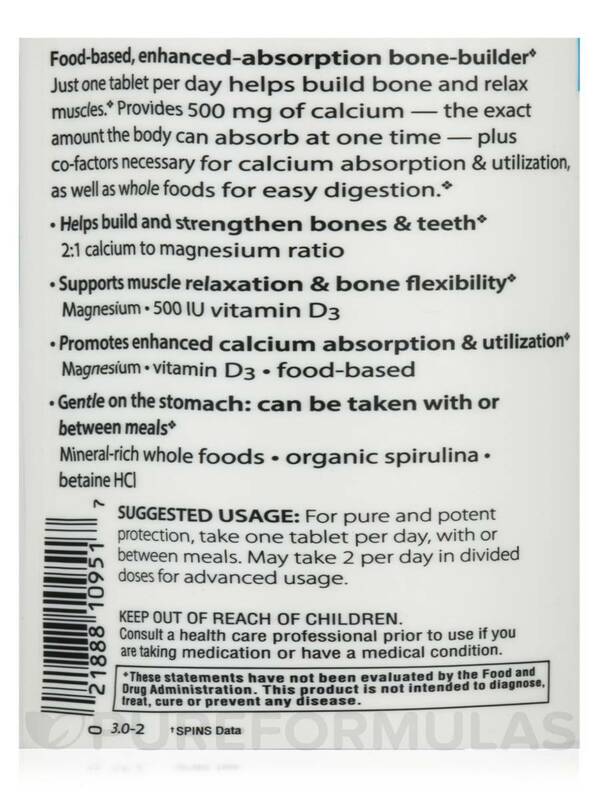 Food-Based Calcium™ is iron-free‚ gluten-free‚ sugar-free‚ lactose-free‚ dairy-free‚ wheat-free and yeast-free. It is 100% natural and contains no artificial colors‚ flavors‚ sweeteners‚ preservatives or additives. Gentle on the stomach. - Supports bone density & muscle relaxation. 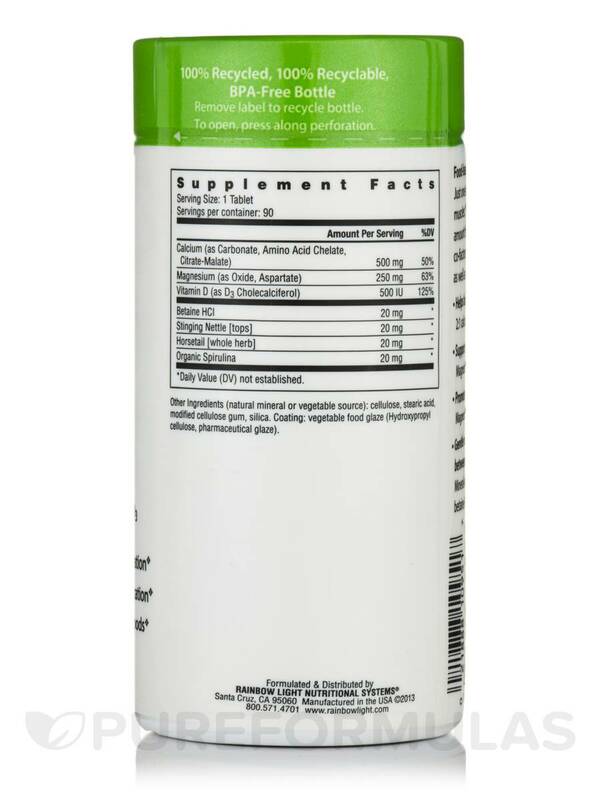 - Promotes enhanced absorption & utilization. - Gentle on the stomach with whole foods. 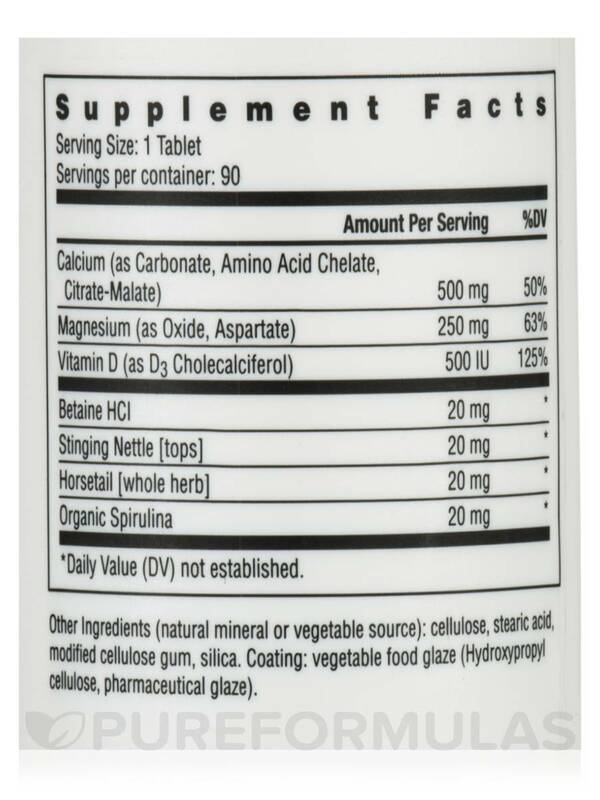 Other Ingredients (Natural mineral or vegetable source): Cellulose‚ stearic acid‚ modified cellulose gum‚ silica. Coating: Vegetable food glaze (hydroxypropyl cellulose‚ pharmaceutical glaze). Free of gluten‚ wheat‚ milk/dairy‚ nuts‚ soy‚ eggs‚ fish‚ shellfish‚ yeast‚ sugar‚ artificial additives. For pure and potent protection‚ take one tablet per day‚ with or between meals. May take 2 per day in divided doses for advanced usage. Keep out of reach of children. Consult a healthcare professional prior to use if you are taking medication or have a medical condition. 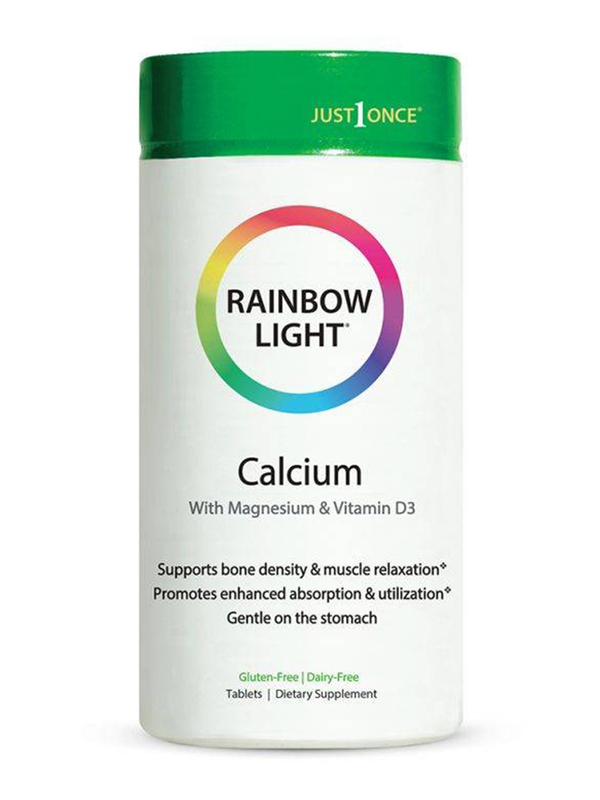 Rainbow Light's Food-Based Calcium is easy to take, non-chalky since it is not a chewable and easy on the stomach. I will continue purchasing. Easy to swallow. Easy on the stomach.